BRIDGETOWN, Barbados — The Caribbean Congress of Labour (CCL) and the CARICOM Competition Commission have both issued statements regarding the recently announced intention of Republic Financial Holdings Limited (RFHL) to purchase the banking assets of Canada's Bank of Nova Scotia in nine English- and Dutch-speaking countries in the Caribbean, namely, Anguilla, Antigua and Barbuda, Dominica, Grenada, Guyana, St Kitts and Nevis, St Lucia, St Maarten and St Vincent and the Grenadines. 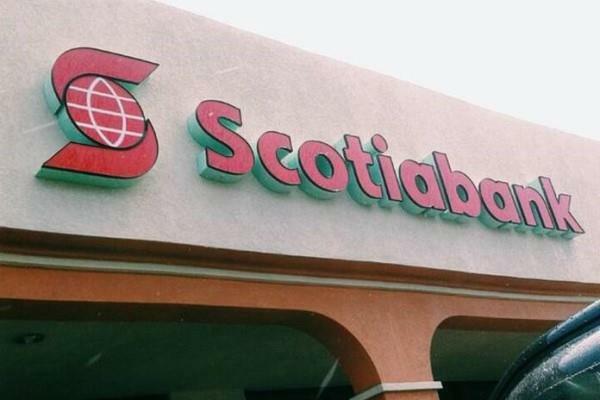 Scotiabank has also agreed to sell its life insurance operations in another two countries – Jamaica and Trinidad and Tobago – to Sagicor Financial Corporation. The CCL said it acknowledges that the Eastern Caribbean Central Bank (ECCB), regulators, and the finance ministers will do their necessary due diligence during this process. 'The CCL stands with the workers of this region. We strongly advise those responsible in the Bank of Nova Scotia to consult with all CCL affiliated unions recognized by the bank. 'This must happen to ensure the transfer of recognition of the rights of workers which will guarantee the continued acknowledgment of freedom of association. These must be guaranteed in writing. The regulatory bodies must immediately meet with the respective trade unions to discuss concerns and details of such transfers,' the CCL said on Monday. Meanwhile, the Suriname-based CARICOM Competition Commission said on Wednesday that it has noted the concerns of bank customers and governments across the region regarding the proposed acquisition of Scotiabank by RFHL. The Commission said it will continue to monitor these developments in the banking and insurance sectors and any impact to the community market by the proposed acquisitions will be assessed in accordance with the Revised Treaty of Chaguaramas. 'The Commission takes this opportunity to highlight the need for strong national and regional competition rules and frameworks. Despite the need for these regulatory tools, the Commission stands ready to support the member states of the CSME and financial sector regulators in analyzing the competition effects of the proposed acquisitions in their respective national or sub-regional jurisdictions,' said Justice Christopher Blackman, chairman of the Commission.